In a nutshell—or glass shell—declining silicon concentrations in the European sector of the Arctic Ocean could mean less diatom production, which would then impact secondary producers (e.g. krill, organisms which are consumed by fish, whales) and the potential organic matter sinking to the benthos, or seafloor, during the Arctic Ocean Spring Bloom. Fewer (or smaller) diatoms available, could translate to less food for krill, fish, and mammals. Drs. 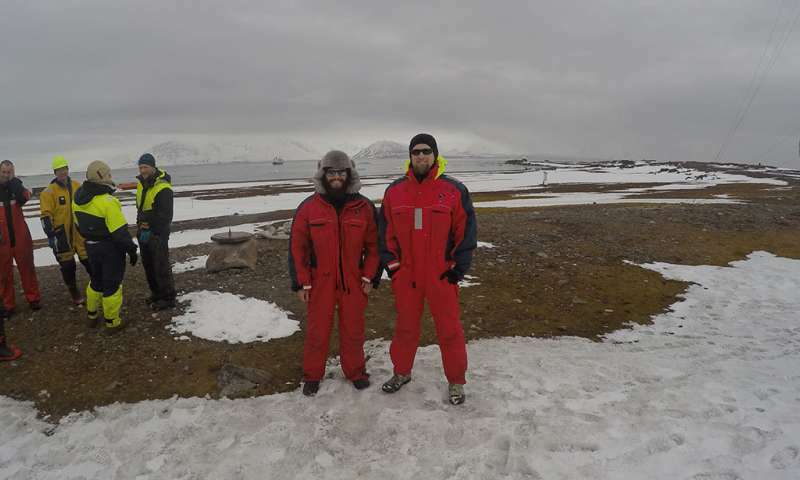 Duarte and Agustí provided Krause and a Ph.D. student, Israel Marquez, berths during a research expedition to the European Arctic around Svalbard supported by the Norwegian Research Council. Krause and this team were able to confirm the suggestion that a lack of silicon in the water reduced diatom production, in fact this was the case in 95 percent of samples collected.